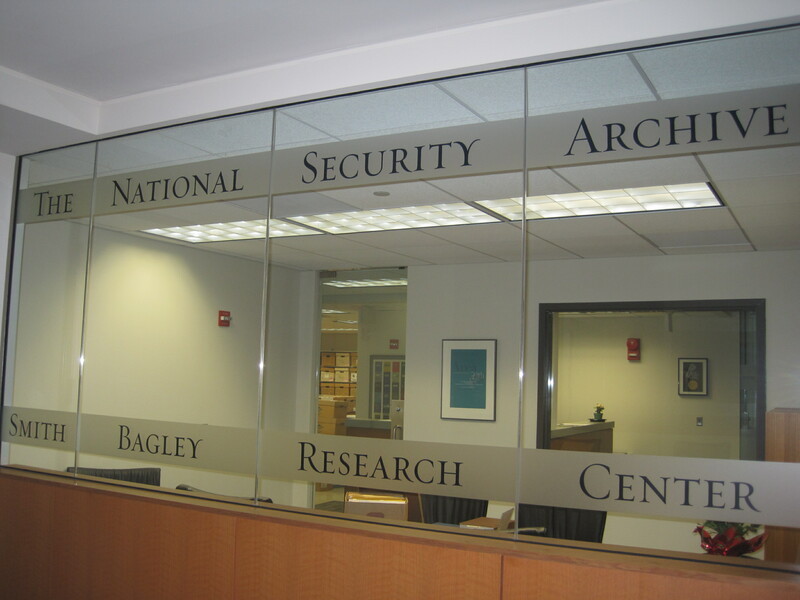 The Smith Bagley Research Center at the National Security Archive. The Smith Bagley Research Center at the National Security Archive presents a new collection donated by the noted historian and investigator Douglas Valentine. The Douglas Valentine U.S. Government Drug Enforcement Collection consists of nine bankers sized boxes of research materials obtained by Valentine for his books titled “The Strength of the Wolf, The Secret History of America’s War on Drugs”(2004) and “The Strength of the Pack, The Personalities, Politics and Espionage Intrigues that Shaped the DEA” (2008). The books chronicle the history and transition of the US “War on Drugs,” beginning with the Federal Bureau of Narcotics (FBN) created in 1930, which became the Bureau of Narcotics and Dangerous Drugs (BNDD) in 1968, which transformed into the the present-day Drug Enforcement Administration (DEA) in 1973. The collection includes hundreds of interview notes, correspondence, and once highly sensitive classified documents. “The Strength of the Wolf” details the U.S. government’s attempts to control the drug trade and was the first account to thoroughly document the history of the FBN. The close involvement of the FBI and CIA are highlighted and are key themes in “The Strength of the Pack,” as Valentine describes how each presidential administration worked to shape the present day DEA. Valentine’s books contain elements expected in a standard non-fiction history, but his realistic portrayals read as lively as crime and mystery novels. He turns complex cases, drug enforcement policies, and bureaucratic politics into a clear and insightful record of America’s relationship with drugs and drug dealers.